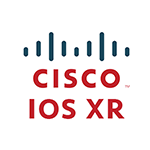 This integration for Cisco IOS XR telemetry metrics was build by the Cisco IOS XR team as part of the bigmuddy-network-telemetry-stacks. 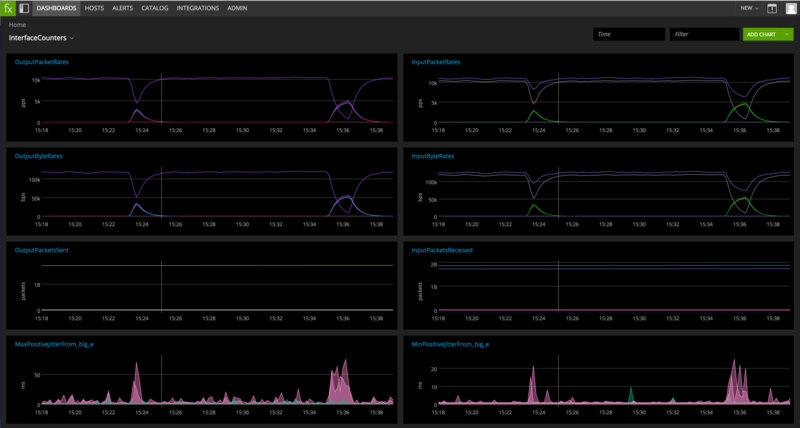 The integration utilizes logstash for initial metric collection and then adds a plugin to export the metrics directly to SignalFx in the appropriate format. You will need a working git and docker setup; look for “Docker tips” below if you need help with this. If host is behind an HTTP proxy, refer to the pertinent section below. where ``a.b.c.d`` is the local IP address you wish to use. build the docker images etc, and is only required once. ``stack_signalfx``. TCP supports compressed JSON. Stopping the stack involves running ``stack_stop``. delete the host mounted volumes, and rerun ``stack_build``. stacks. Go to ``https://app.signalfx.com/`` to visualise the data. IP SLA and interface counter data.